The power of the elements cannot be underestimated. Our precast concrete products will hold up for many decades of constant use and can withstand the harsh environmental conditions experienced in marine & coastal applications. 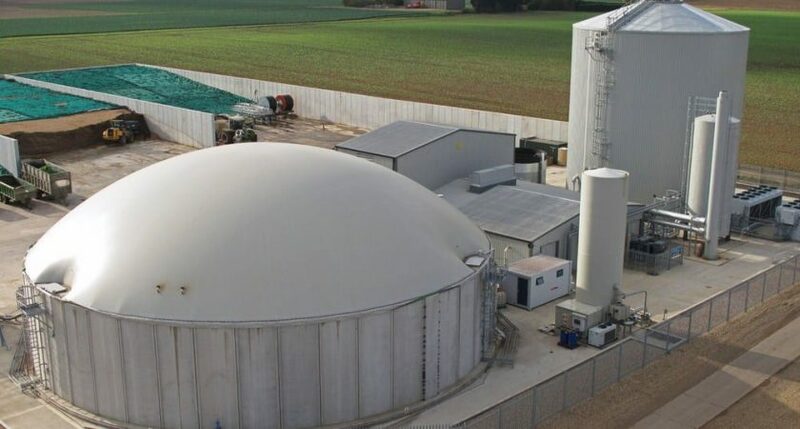 Whether protecting at-risk areas from the effects of flooding, managing the efficient flow of streams or surface water through physical obstructions, or protecting land from the sea, precast concrete solutions from Poundfield Products are designed to withstand corrosive attacks. 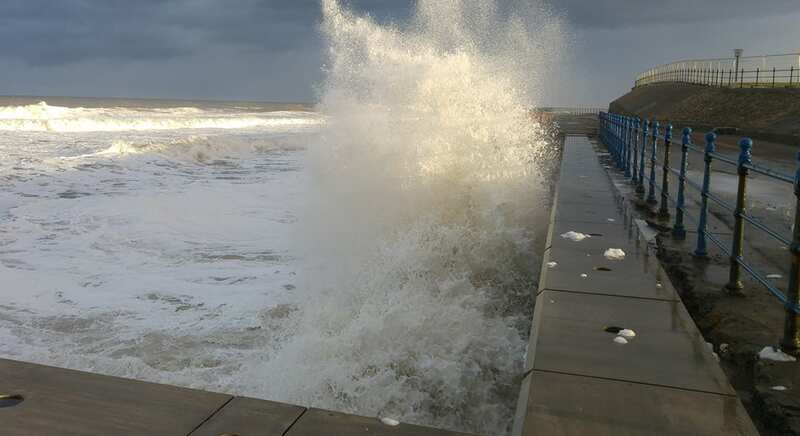 Depending on your specification we can design a specialist marine concrete mix in accordance with BS EN 206-1 which can be used to extend the life of the finished units, to ensure that the wall can withstand the test of time and the harshness of the tidal environment. Alternatively, if you have your own mix design we will happily work with you to achieve the desired finished product. 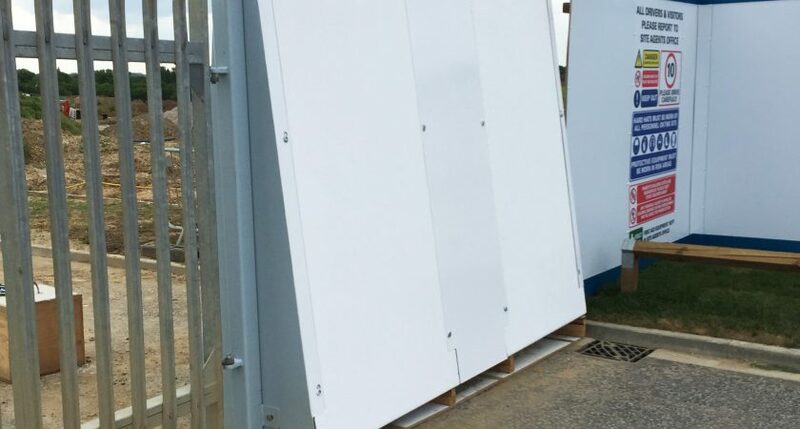 Our defence walls are designed to perform well with outstanding durability and units can also be designed to look aesthetically pleasing to blend in with the surrounding environment. 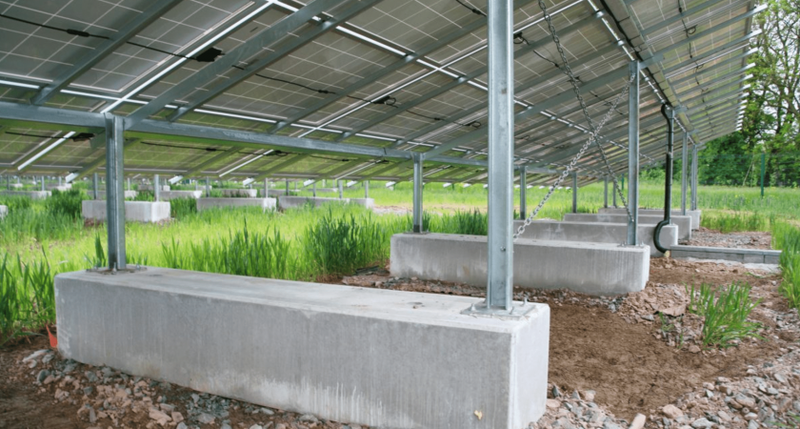 Using the most up to date designs in rubber matting any appearance can be given to precast concrete, and more importantly, this finish can be repeated time after time in a factory controlled environment. 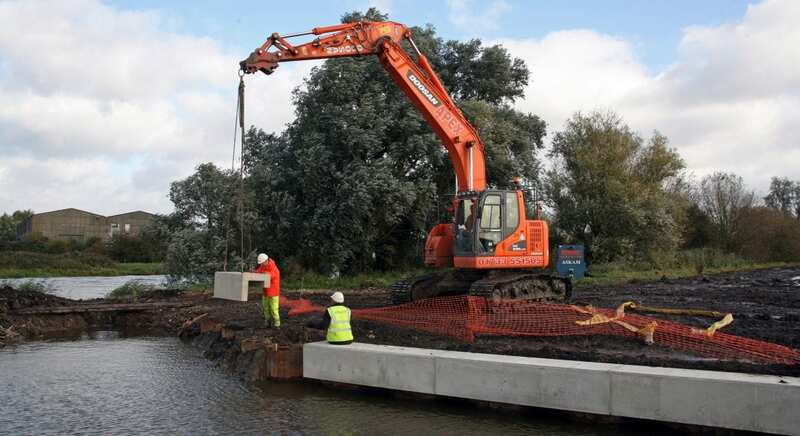 Used to protect areas from the effects of flooding, our flood walling provides a robust and long lasting solution. 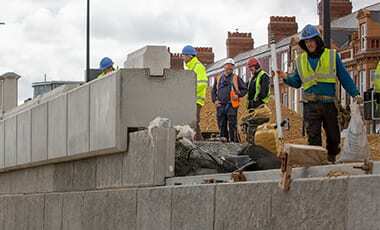 Precast concrete offers an off-site, cost-effective option that can be erected quickly and efficiently. 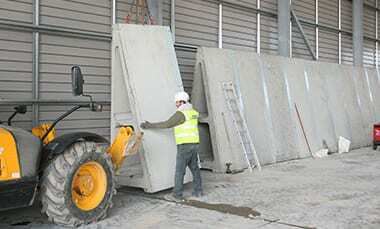 Our retaining walls and bespoke precast can be used for either temporary or permanent flood walling solutions. Bespoke options for a specific situation are also available. 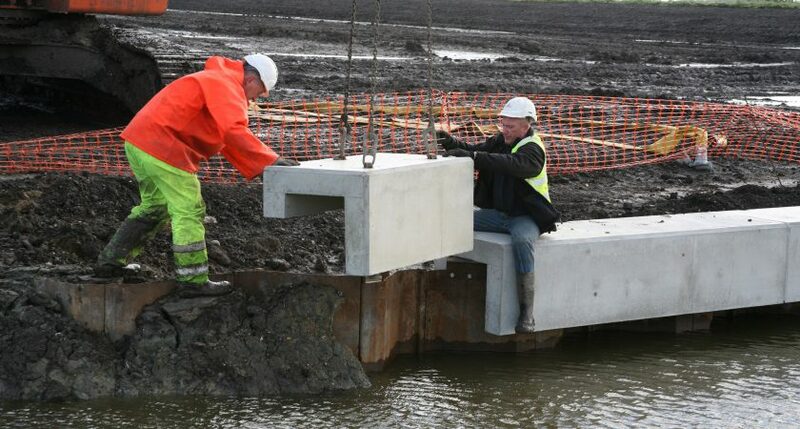 Precast concrete is often used as part of the flow management of water. 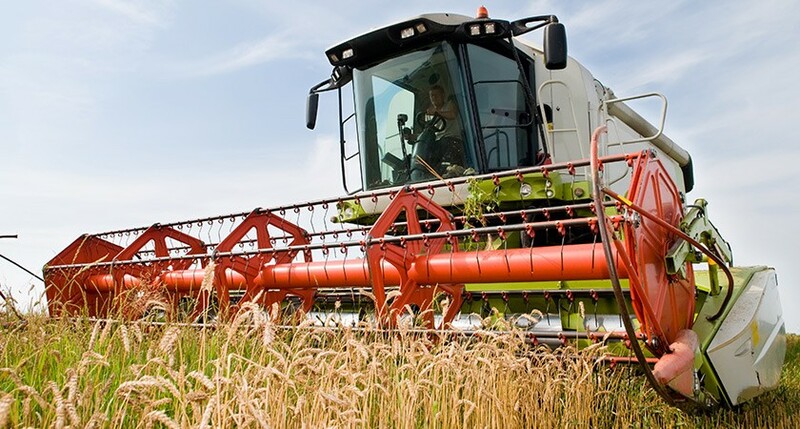 It offers an off-site cost effective solution. 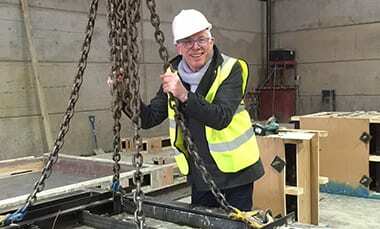 We also offer bespoke precast – working closely with you to design a system especially for your situation. 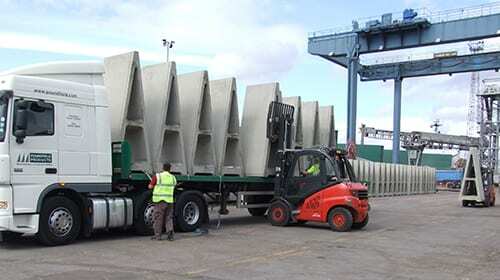 Our precast concrete marine and coastal sea defence walls can be erected quickly and efficiently. 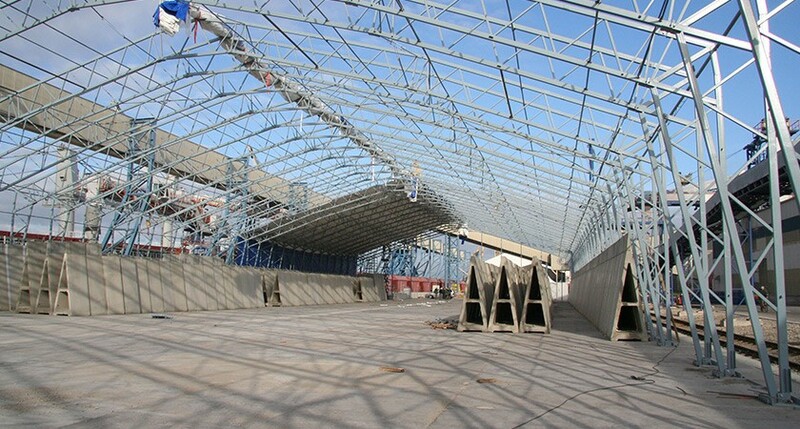 This makes the products particularly suited to construction in a tidal environment. 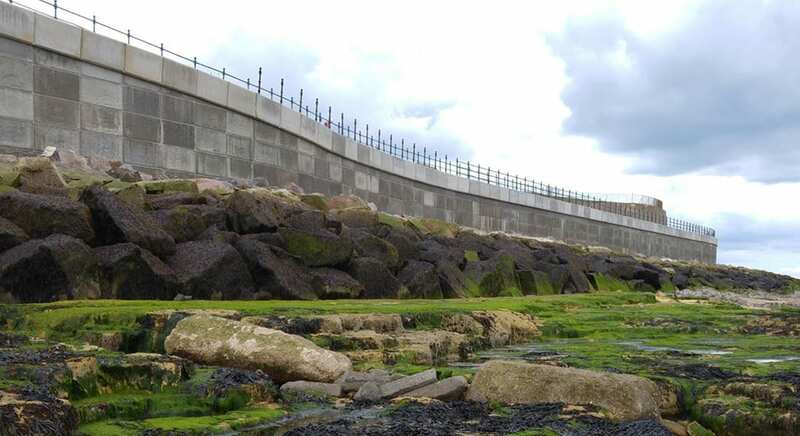 All our wall units come with the option of GPR reinforcement, which is resistant to the corrosive attack by the salts in sea water and offers a number of significant benefits over using steel rebar (reinforcing bars). Our experienced sales team is always on hand to help and advise you on the features and benefits of all of our products and would be more than happy to help you discuss the wide variety of options on offer for your marine & coastal projects.